Superchunk On World Cafe : World Cafe The band's latest album, Shredding Majesty, captures the raw sound and energy of its live shows. Hear the band tear through songs from its latest release and chat with host David Dye on World Cafe. 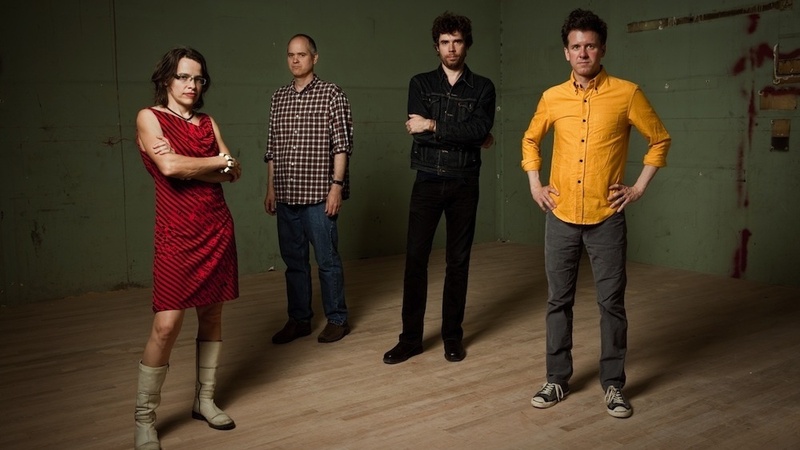 Superchunk recently performed songs from last year's Majesty Shredding on World Cafe. Flashback to 1989: Superchunk had just released its debut 7". More than two decades later, the North Carolina band is still kicking. The long hiatus following the release of 2001's Here's To Shutting Up stirred speculation that the youthful punk-rock outfit would never return, but last year's Majesty Shredding put that fear to rest and sparked a whole new wave of Superchunk excitement. Arguably Superchunk's best album yet, Majesty Shredding captures the raw sound and energy of its live shows. Hear the band tear through songs from its latest album and 1995's classic anthem, "Hyper Enough," on World Cafe.